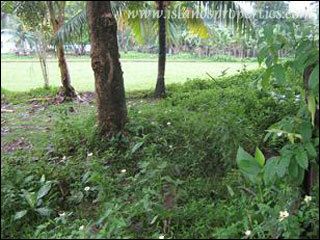 This lot is the roadside portion of the 2,680 sqm that belongs to lot #4. This is situated along the road going to Malumpati Health Spring and Tourist Resort (second cleanest water spring in the country according to the local tourism authority). Php 700 per sq. m.
Note about this price: The price is negotiable and in cash basis only.